The Gold Series GT-E34L-S Matched Power Medium (4-7 GT Rating) Quartets are an exclusive GT design with special "heat wings" attached to the plate for more power, longer life, and better tone. Big bottom, very dynamic, most powerful in its class. 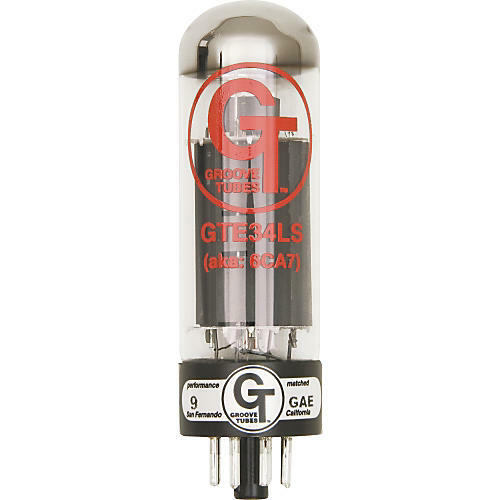 This is a specially modified power pentode with 15% more power and great overall tone. Big heat sinks attached to the plates keep it from sagging at full power so the bass stays tight and the treble crisp.